Allergy Doctor of King of Prussia – Allergy & Asthma Specialists Can You Experience Allergies for the First Time in Adulthood? Can You Experience Allergies for the First Time in Adulthood? Most people do not think of allergies as something that you develop, but rather something that you have your entire life. After all, many people first notice their allergies when they are young. Unfortunately, as your allergist can tell you, it’s entirely possible to develop allergies as an adult even if you have no history of them. Here are the answers to some common questions about adult-onset allergies. When can a person develop allergies? It is most common to develop new allergies during your childhood or when you’re in your late teens and early twenties. 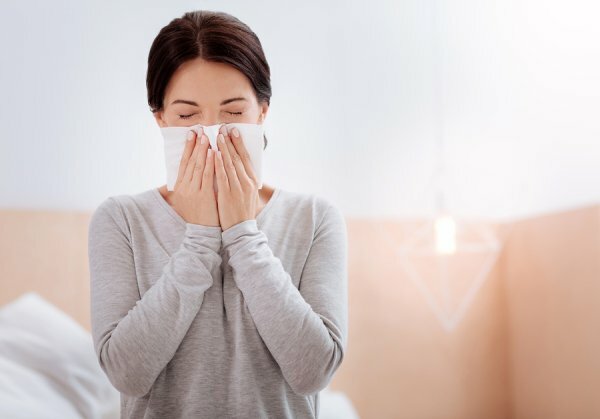 If you experience unfamiliar allergies later in life, it could be because you are suddenly encountering allergens—such as a certain type of pollen—that you have rarely or never been in contact with before. Moving to a new location, bringing home a new pet, and being outdoors more frequently can all trigger new allergies. How can I reduce my risk of a new allergy? Everyone’s allergies are different, so there is no universal solution. You can help to reduce your chances of coming into contact with allergens by changing your bed linens regularly and keeping your clothes clean. If you have a pet who sheds, use your vacuum cleaner frequently. Avoid exposure to tobacco smoke, which can exacerbate allergy symptoms. How can I tell if what I’m experiencing is an allergy? Keep in mind that the symptoms of an allergy can be difficult to distinguish from those of an upper respiratory infection. If you are experiencing chronic allergy-like symptoms such as sneezing, dry cough, or a runny nose, you can determine what the issue is by undergoing a professional allergy test. Do you have undiagnosed allergies? If so, it’s time to contact the experienced allergists at Allergy & Asthma Specialists SM . We have been serving individuals in Lansdale, Blue Bell, Pottstown, Collegeville, Doylestown, Philadelphia, King of Prussia, and Jenkintown, Pennsylvania, since 1989. You can reach our practice by calling 1(800)86-COUGH, option 2.